What’s crazy to me is that being from Los Angeles, I spend more time on the go than in my home state. 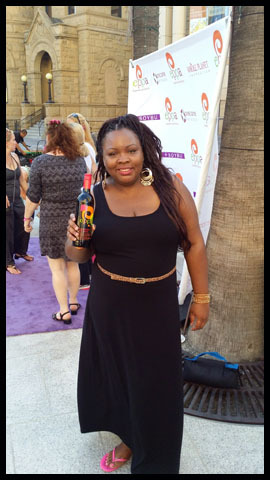 I hadn’t been to the Bay Area since I was child and the opportunity to attend BlogHer in San Jose sparked an extra bit of excitement within me. I wanted to take part in a road trip that provided my adult eyes with fresh views of the California coastline, and see first hand locations found in scenes from Alfred Hitchcock films. Although, I didn’t get to do any of the above I was pretty happy with my experience based on the limited time that I had. My trip began in Los Angeles which put me on the 101 fwy and gave me a straight shot to the Bay Area. Outside of a few gas station stops and a quick meal at a dinner; I wasted no time getting to my destination which was 6 hours away. The whole trip was based around the largest blogging conference in the country, BlogHer. This conference took place at the San Jose convention center and drew in over 5,000 attendees. 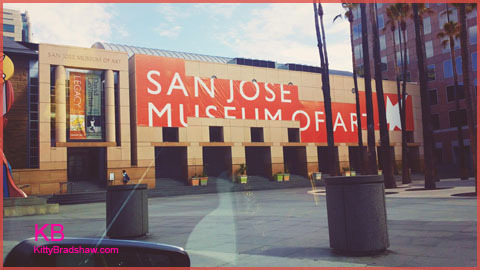 I didn’t get the opportunity to do much exploring of San Jose; my time at BlogHer kept me in the area for 3 whole days before taking off to experience San Francisco travel and tourism. 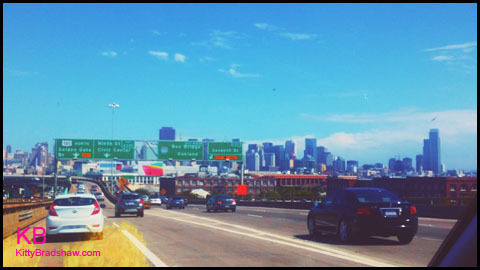 The initial plan was to drive through San Francisco to get to the wine country, then double back and explore the SF…. all in one day. Well as the old saying goes, “all plans have good intentions.” My vision was bigger than the seconds in the day. The San Francisco Marathon and all of its traffic would not play 2nd to anyone’s plans. This event tacked on 2 additional hours of stop and start traffic. By the time I made it to wine country, the better part of the day had gotten away from me and I was forced to create a new itinerary based on the time I had left. So here goes the lemonade- the excessive traffic was not all bad! The crawl it took to get to Healdsburg gave me extra time to appreciate my surroundings, and led me to something I had yet to experience. 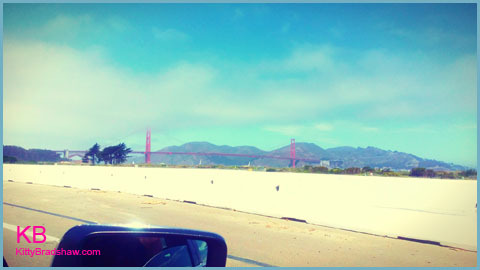 For the very first time in my life I crossed the worlds most famous bridge, the Golden Gate Bridge !!!! It was big, glorious, and breath taking. Two Words: Cherry Red. That bridge is a diva!!!! 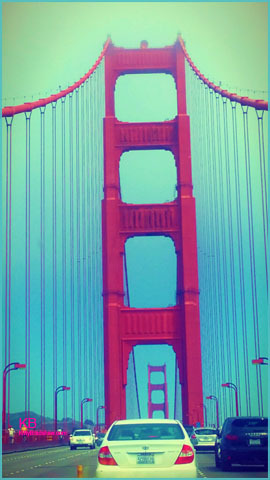 San Francisco travel does not exist without stopping by the Golden Gate Bridge. As I drew near, my excitement increased. 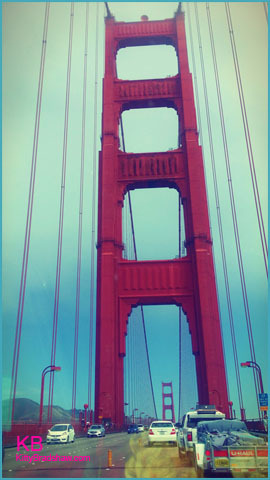 In the above photo you see my first glimpse of the Golden Gate Bridge experience that I will never forget. I’ve heard about her all my life, but our first meeting was everything and more. She greeted me with open arms, and invited me into her world. The movies have not ever done her justice. Our introduction could only be compared to something on the level of meeting Elizabeth Taylor, Marilyn Monroe, or any other icon that has come and gone. The only difference is the Golden Gate Bridge is hear to stay. After my visit, I can now picture myself in all my classic film montages in my head. Yes, as you already know- I am a huge classic film buff! 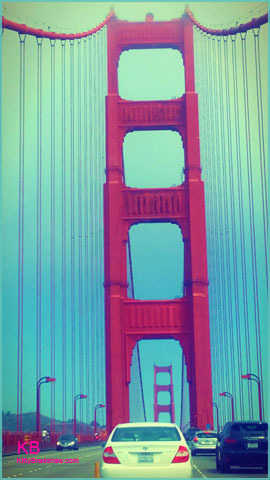 My pictures could never do the bridge justice. If you’ve never had the pleasure of meeting her, I suggest that you put it on your bucket list. Living in New York… we spend a great deal of time crossing bridges. My time with the Golden Gate Bridge raised the bar so high I felt as if the Golden Gate is the only real bridge I will ever cross in life. Speaking of high… no not the marijuana clouds…. well at least I don’t think so. I guess in California anything can be expected, lolll. No seriously- what I am trying to convey is the bridge and the clouds meet. If you look closely at my images, the clouds and the tip of the bridge intermingle. I will be back soon in two months for a more thorough trip. This concludes part 1 of my trip- please see my post on wine country where I will share my small town walking tour experience through photos.